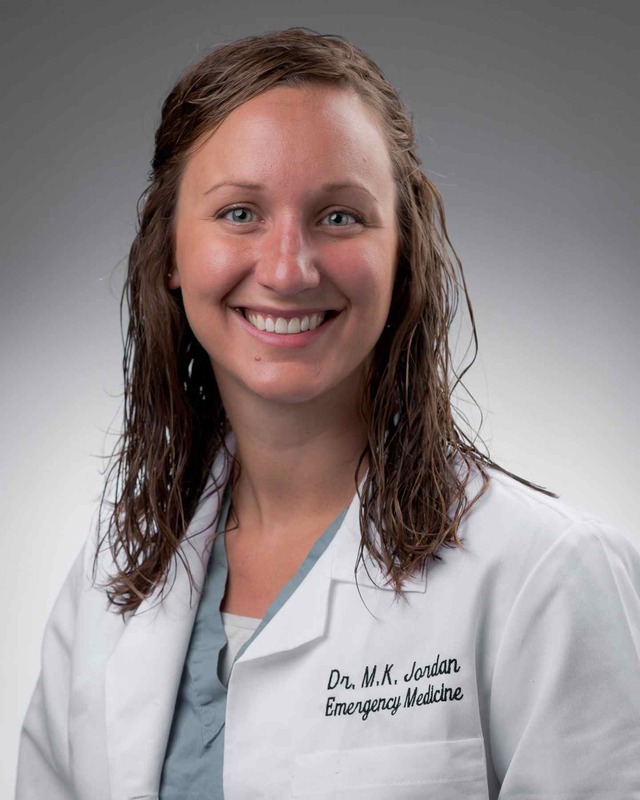 Mary Kate Jordan is a member of the Palmetto Health EM class of 2017 and a graduate of the University of Alabama at Birmingham School of Medicine. Bocas del Toro is an archipelago off the Caribbean coast of Panama. Isla Colón, the main island, is home to the city capital, Bocas Town. It's is a wonderfully eclectic town full of clapboard style Caribbean houses, vibrant culture, friendly people, good food and great music. 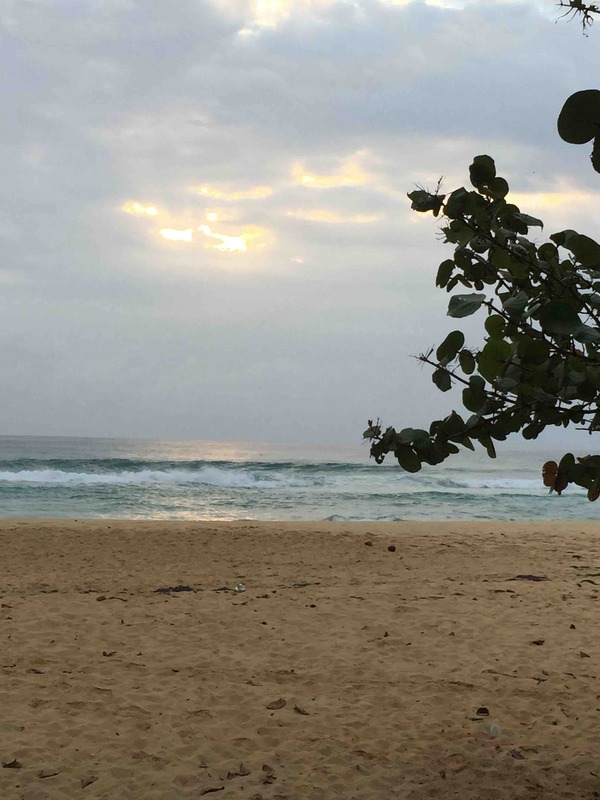 While Bocas Town itself boasts a local clinic (with a new hospital coming soon) and many resources for simple acute and preventative medical care, most of the population lives outside of Bocas Town and off Isla Colón. These indigenous people live in rural and often poorly accessible island communities. They are miles of mountains, mangroves, and oceans from even basic healthcare and unfathomable distances from true specialty or emergency services. The first time I visited one of these islands, I was a scuba diving instructor and our course was camping out on a distant island in order to be close to good dive sites. At that time, I had no medical training or even interest in medicine, so when one of the students cut her hand on coral during a dive, I was helpless during the six-hour journey it took to get her to the clinic. Later, as I spoke with the island's Jefe (or local elder chief), he confirmed it wasn't just healthcare- they were miles from clean water and education too. Even long before any interest in medicine, I've known I wanted to work overseas. Entering residency, I was still wondering how those two passions would weave into a career. Last March I went back to Bocas del Toro for the second time, but this time to work with Floating Doctors. 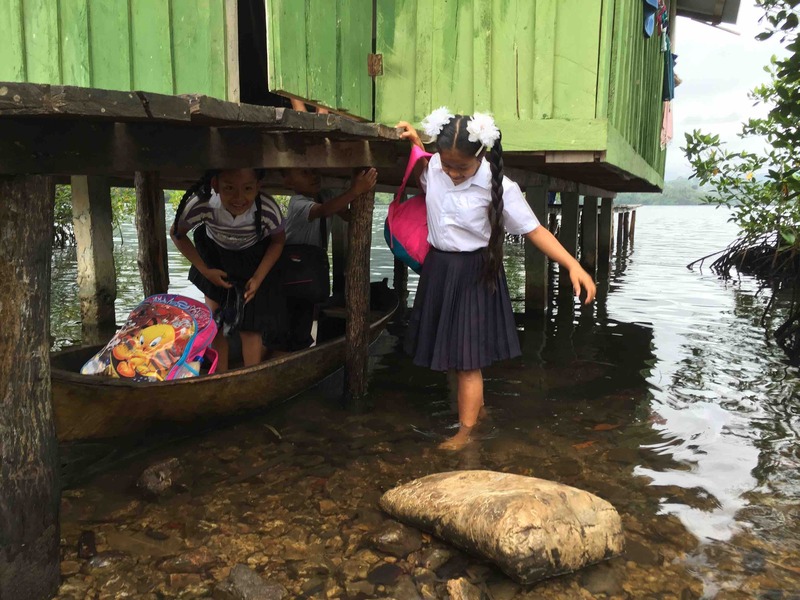 Floating Doctors is a unique organization that seeks to improve the delivery of healthcare and reduce disease burden for the people living in the remote and inaccessible islands of Bocas del Toro. 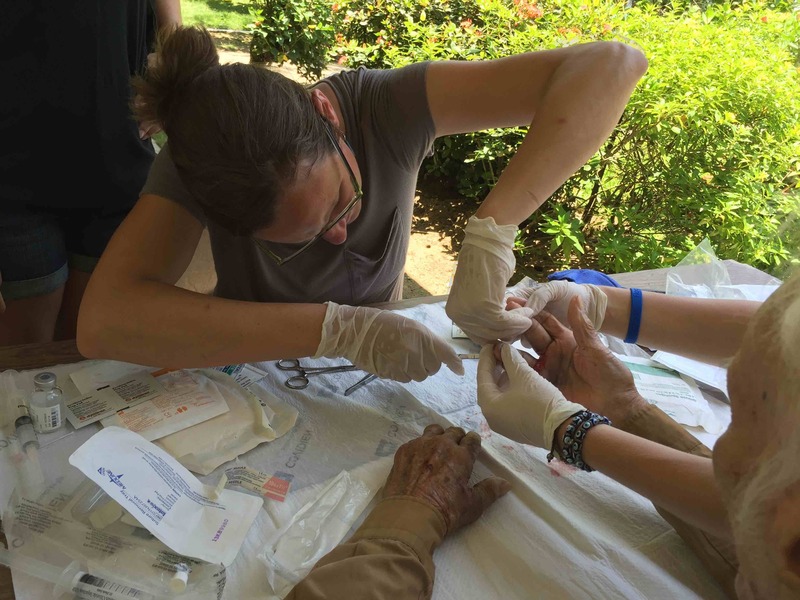 The staff and volunteers often travel for hours or even days through difficult, potentially hazardous and most certainly uncomfortable conditions to reach the people that can't reach care. They provide education, meet basic acute needs and encourage preventative measures as feasible. When indicated, they try to raise the support, arrange the logistics and help transport high risk individuals to definitive care. Floating doctors returns on a regular basis to the communities it serves, thus making a true difference in the patient's lives through follow-up and continuity of care. For the trip, my program director, Dr. Cook, urged me to take one of the residency's ultrasound machines with me for my time with Floating Doctors. I proffered a long series of objections . . . "What if it gets stolen? . . . We're going to be on and off small boats (aka carved out logs) in rough waters and open oceans, it'll probably get wet or go overboard . . . It might get lost by the airlines . . . I can't afford to replace it. . ," but in his experienced way of handling resident whining, he completely ignored them all and simply replied, "bring back some good videos." In addition to teaching ultrasound to some of the local physicians, I used it to diagnose broken bones, heart failure, cellulitis galore and pretended to know how to date pregnancies. I also identified a pregnant woman with placenta previa. The team was able to make arrangements for her to hike, boat and bus to a "city" with an Ob/gyn able to perform c-sections. That ultrasound machine may have saved her and her babies' life. The case made me realize that although it may be many years before health infrastructure can get to communities like these, if we have the tools to identify the patients in need, it's much easier to get individual patients to the care they need. Ultrasound is becoming more affordable, smaller andeasier to use every day. Because of that trip, I decided to do an ultrasound fellowship and hope to spend a large portion of my career training providers in similar remote areas how to use ultrasound to identify patients that may benefit from more advanced care. I am incredibly grateful to the Palmetto Health emergency medicine residency alumni and faculty for their support. 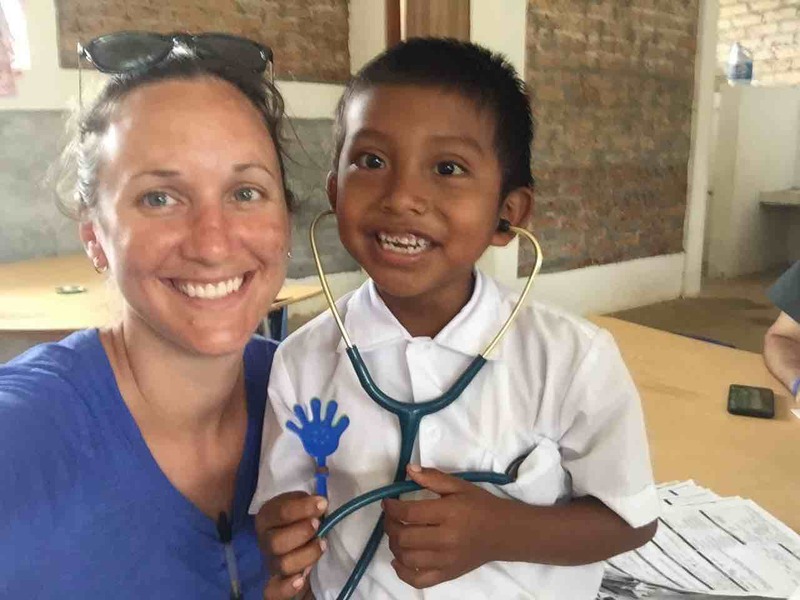 I am thankful to be a part of a residency program that understands the importance of global health and makes great sacrifices in order for the residents to spend time overseas. I feel privileged to be a part of this unique and valuable aspect of our program.